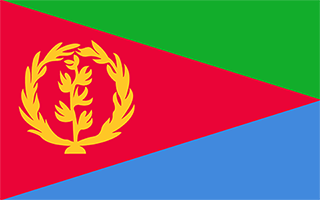 N 14° 57' 39" and E 39° 12' 56"
May Maho in Debub Region is a place in Eritrea about 32 mi (or 52 km) south-east of Asmara, the country's capital city. Current time in May Maho is now 02:24 AM (Tuesday). The local timezone is named Africa / Asmara with an UTC offset of 3 hours. We know of 7 airports near May Maho. The closest airport in Eritrea is Asmara International Airport in a distance of 31 mi (or 49 km), North-West. Besides the airports, there are other travel options available (check left side). There is one Unesco world heritage site nearby. The closest heritage site is Aksum in Ethiopia at a distance of 66 mi (or 107 km). While being here, you might want to pay a visit to some of the following locations: Mendefera, Asmara, Massawa, Mai-Mne and Keren. To further explore this place, just scroll down and browse the available info. Let's start with some photos from the area. Adi Keyh is a market town in Eritrea, lying approximatively 110 kilometers southeast of Asmara. It lies almost 2,500 metres above sea level and has a population of around 25,000 people. The ruins of Qohaito and Toconda lie near the town. Alternative spellings of its name include: Adi Caie, Addi Caieh, Adi Ciah, Adi Keih, Adi Keyih and Adi Kaie. Located at 14.8333, 39.3667 (Lat. / Lng. ), about 13 miles away. Segeneiti (alternatively, Segenetti or Seganatti) is a small town in the Southern Region of Eritrea. The town lies on the road between Asmara and Senafe. Located at 15.0528, 39.1872 (Lat. / Lng. ), about 7 miles away. These are some bigger and more relevant cities in the wider vivinity of May Maho.